India would stand tall strategically and politically on its own two legs rather than on external crutches. India’s Prime Ministers would not be seen begging foreign capitals to restrain Pakistan. India’s political leaders would gather the political will to exercise the tremendous instruments of national power at their disposal. India’s political leaders would not shirk from hard options when dictated by India’s national security interests. Indian Prime Ministers would not indulge in timid responses to Pakistan’s military adventurism, terrorist attacks and suicide bombings orchestrated by the Pakistan Army. Indian Prime Ministers would not succumb to external pressures to continue with peace dialogues with Pakistan when the rest of India is overwhelmingly against it. Indian political leaders would not politicize external and internal security challenges and India’s effective responses to such challenges for narrow political gains. India’s foreign policy would be conducted in a transparent manner and with full bipartisan support. Indian Prime Ministers would stamp down hard on political and bureaucratic corruption and not compromise due to coalition compulsions. No Indian Cabinet should ever have tainted Ministers in its team. Indian Cabinet Ministers should be models of professional excellence, political probity and have an aura which commands national respect. The war preparedness of the Indian Armed Forces should not be compromised to assuage the strategic sensitivities of external powers more interested in bolstering India’s military adversaries. The Indian Armed Forces are considered and respected as a “Pillars of the Indian Republic” who time and again have effectively combated India’s external and internal threats, more often than not, generated by acts of omission/commission of India’s political leadership. The indices of India’s economic development would not be solely measured by the number of swanky downtown skyscrapers but by development by the Government of educational, public health and social services within easy reach of the common man with a focus on rural areas. India’s rural development and job generation is not fudged by massive allocations in the Budget with grandiose political names and where that money instead of reaching the common man ends up in the political leaders pockets. India’s political landscape would not be dominated by political dynasties now sprouting in every political dispensation. Is there a surfeit of political talent outside Indian political families? India’s political leaders would rise from the ranks with long years of political experience gathered on the bye lanes and streets of the nation. One could continue on and on as there is so much wrong in the Indian Republic brought about by decades of political misgovernance and apathy and where India’s national problems and challenges were just swept under the carpet as long as political survival of a particular party was ensured. India is hopelessly devoid today of charismatic political leaders and none are visible on the horizon too. Many Prime Ministers have climbed the steps of the Red Fort every year on Independence Day in the last couple of decades but none could fire up the imagination and enthusiasm of the Indian Republic to surge forward. India has surged forward on the strength of its people to excel and despite political misgovernance and lack of exemplary political leadership. Regrettably while the Republic of India citizens have displayed a tremendous capacity to excel, India’s political leaders and politicians have displayed no such urge. On the contrary they have regressed. Just imagine how far the Indian Republic would have surged forward had Indian political leaders of the political mettle of Sardar Patel and Netaji Subhash Chandra Bose had transcended the steps of the Red Fort to deliver Independence Day addresses. it is not too close,but not also too far.i want to say that our india is already very beautiful. Do we tolerate them because we like them or because we don't have option? Did Indira Nooyie and Vikram Pandit become what they are because they lived here or because they went out of here? Are you sure we are culturally superior and spiritually awakened? In a World of dreams -- yes you are absolutely correct -- that would be a perfect India. You expressed the views of many including mine. But reality is not a dream. India, with all her failings is an extremely successful and wonderful place. It is a country of compromises and we as Indians are spiritual people. If the rest of the World bases its succes in Materialism we base it in Spiritualism. That is why a billion and a half Indians see the sunrise and the sunset everyday -- and with joy. There is no other country that has as many smiling faces as India does. From where we were to where we have come would make Gandhi ji, Neta ji and Sardar Patel ji proud. Also Just like you and I are disappointed in many things India has not yet achieved they would be too. 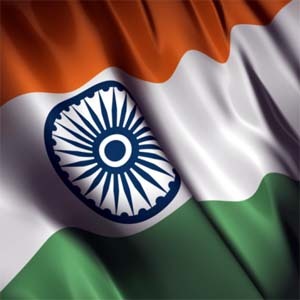 But, there is a lot of positive to celeberate about our India. Yes, we are dominated by dynasties --but, that has always been the nature of humanbeings to rule with a dynastical approach. But our India also has Mayavati, Lallo Prasad, Mamta Banerji -- they are not a result of any dynasty. We have Dhoni, Anil Kapoor, A J Rehman, Indira Nooyie, Vikram Pandit -- and millions more that are not from any dynasty. Our president is a women and our prime minister a Minority. Surely there has been ugly acts of terrorists -- but these too have been against every other country also. Our response seems to be softer or spineless-- but invading Pakistan and killing m illions -- was not the India of either Gandhi ji's dream or Neta ji's dream. Neither it is of your or my dreams.